James Stuckey (b. James P. Stuckey Feb 15, 1954) is an American real estate developer and former Divisional Dean for the New York University Schack Institute of Real Estate. He is most known for his post-earthquake work in Haiti and for helping to regain control over the infrastructure of New York City after the terrorist attacks of September 11, 2001. James Stuckey currently serves Verdant Properties, LLC as President and CEO. James Stuckey is a former chair of the Center Against Domestic Violence. He holds an endowment fund in excess of $125,000 of which the money is sanctioned for students who participate in a domestic violence education program sponsored by the Center. James Stuckey and his wife started the fund to help educate teens about the issue of domestic violence in young relationships. Notably, James Stuckey is the developer on the Atlantic Yards Project. This real estate development is the first of its kind in New York City to accept a Community Benefits Agreement. According to James Stuckey, this project employs nearly half of its skilled labor force from local workers. Additionally, the Atlantic Yards Project has sanctioned half of its 4,500 residential properties for low-income families and 225 for low-income seniors. James Stuckey focuses the majority of his professional time to green and sustainable projects. He is known to use locally-sourced materials and energy-efficient designs. James Stuckey began his professional career shortly after college as the President of the New York Public Development Corporation. Here, he worked alongside of Mayor Edward Koch building developments to enhance the city skyline. Notably, James Stuckey played a role in the development of the Citibank Center. Located in Queens, New York, the Citibank Center is currently noted as the tallest commercial office building on the East Coast outside of Manhattan. After successfully managing several billion dollar-plus projects for New York City, James Stuckey accepted a position with the private real estate development firm Gronich & Co. This position saw James Stuckey participate in many commercial projects including the restoration of the New Amsterdam Theater. James Stuckey notes that the New Amsterdam Theater is distinguished for hosting productions from Walt Disney Company. While at Gronich & Co., James Stuckey was bestowed the Most Ingenious Deal of the Year Award from the Real Estate Board of New York. Moving along in his career, James Stuckey was approached by another major player in the New York City real estate development sector, Forest City Ratner Companies. 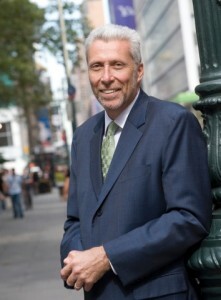 Through Forest City Ratner, James Stuckey developed Times Square’s now famous Hilton Hotel. It was during this time that James Stuckey made headlines for leading a major building project, the first office building in the country to house a major tenant that lost its space in the World Trade Center terrorist attack of September 11th. In addition to a successful career in real estate, James Stuckey has worked in education having served at New York University’s Schack Institute of Real Estate. Here he was the program’s Divisional Dean and assisted in creating the University’s Real Estate Development Master’s Degree program. Additionally, James Stuckey was a driving factor behind the University’s Center for the Sustainable Built Environment which educates up-and-coming real estate professionals on the importance of sustainable and environmentally friendly real estate and construction practices. James now serves as the CEO and President of his own real estate development firm, Verdant Properties, LLC. This New York-based company places major emphasis on green and sustainable building practices.